Lots of Jonathan Drouin rumours swirling around lately. I'm not sure what started them, but I think it must have something to do with Drouin grumbling about his lack of opportunity in the playoffs. I somehow doubt the Lightning are ready to give up on the young winger who didn't do terribly as a rookie given his limited ice time and opportunities. Sure, Jonathan and his agent aren't happy with how it all went down, but this is something the Lightning can solve internally. It would take an enormous offer for GM Steve Yzerman to even remotely consider dealing him. 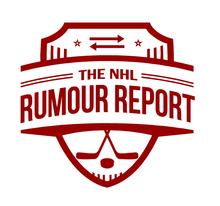 I've had Drouin on the NHL Rumour Board for months at 1%, and I don't imagine that number will go up any further. Marcus Johansson and the Capitals are scheduled to head to arbitration tomorrow. Washington has little cap space to work with, which makes this deal a tricky one. Some have wondered if GM Brian McLellan could be forced into a trade to make room or, as a last resort, walk away from Johansson's award thus making him a free agent. The Hurricanes are in no rush to trade Jeff Skinner, although several unknown teams continue to pursue the young winger. His injury history and cap hit make this a difficult deal for most teams. 'Canes GM Ron Francis continues to work on extensions for center Eric Staal and goalie Cam Ward, who could both end up on the trade market eventually if they fail reach an agreement.